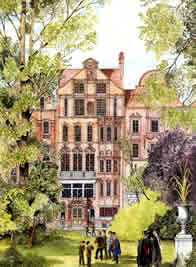 I started learning Latin and Greek at Sussex House School, London. My prep-school Latin master, John Evans, approving of my initial enthusiasm for Latin at the age of 7, decided that I should learn Greek as well. He brought the subject to life by creating an ancient Greek primer with beautiful hand-drawn illustrations: his superb draftsmanship is still admired. 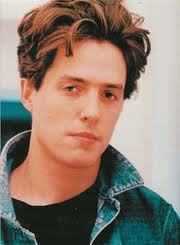 Subsequently as a King’s Scholar at Eton, I was taught by (among others) D.P. Simpson, John Roberts, Michael Atkinson, John Lewis, and the brilliant and inspiring classicist Martin Hammond. 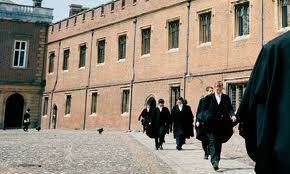 From Eton I won a scholarship to read Classics at Merton College Oxford. I was taught the piano from the age of 5 by Joyce Rathbone, and the cello from 11 by Audrey Toynton. I continued learning both instruments at school: piano with David Hiley and Peter Smith, and cello with Graham Smallbone. In my final year I was the soloist in Grieg’s Piano Concerto with the Eton School Orchestra. Before going to Oxford I took an extended gap of three years during which I completed a Performer’s Course in piano and cello at the Royal College of Music, London (1976-9). I was a pupil of the late Angus Morrison (piano) and Anna Shuttleworth (cello), and had lessons with Joan Dickson, Amaryllis Fleming and others. At Oxford I performed in dozens of recitals and was soloist in the Haydn Cello Concerto in C, and conducted the Kodaly Choir and Orchestra. I appeared briefly as the cellist in a string quartet in the film Privileged, which starred Hugh Grant in his earliest movie role. I’ve subsequently performed in Oxford my favourite cello concerti, those of Schumann and Elgar. After completing my Classics degree I studied cello with Tanya Prochazka, and attended masterclasses directed by Steven Isserlis, William Pleeth, Paul Tortelier, Anner Bylsma and others. In 1985-6 I freelanced as a cellist while studying baroque cello with Bylsma. From 1986-1994 I worked in my family’s manufacturing business (based in London, Cornwall, Hong Kong, and Shenzhen) before leaving to do a PhD in Classics at University College London. Academia allows me to combine teaching and research, recitals on the cello, piano, and with a piano (or clarinet) trio, and presenting talks to Business Schools and companies about innovation. Music and psychology have been important influences on my understanding of innovation. In my thirties, I did my PhD under the supervision of Richard Janko on the dynamics of innovation in ancient Athens. This became the basis of my book on The Greeks and the New, from which I have distilled some of the lessons of innovation for my talks and for my forthcoming business book Eureka. During the recession of the late 1980s and early 90s I worked in a family company, Tin Box International, specialising in the design and manufacture of decorative tins. During this time I co-authored with Steven Shaw The Art of Swimming (Ashgrove Press 1996), which articulated how swimming can relate to the Alexander Technique: a novel perspective on learning to swim, overcoming aquaphobia, improving style, and enjoying the water.